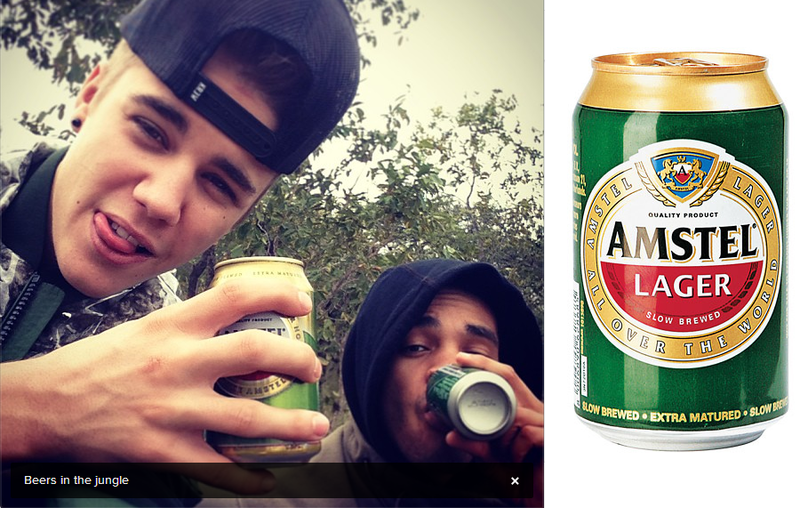 Justin Bieber showed his love for African Beer when he posted a picture of himself drinking Amstel Lager in South Africa!!!. @justinbieber @AmstelSA Did you like it? hehehehe!